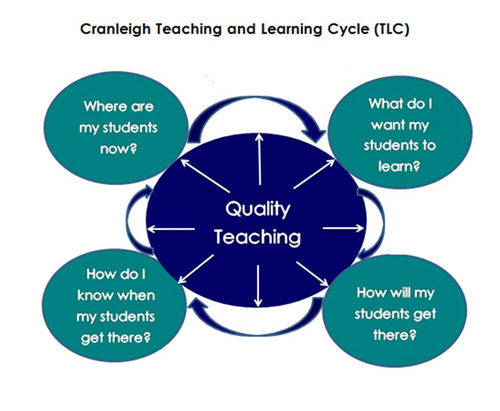 Individual learning plans form the basis for all teaching and learning at Cranleigh. All decisions about ILP goals are made in consultation with families and other stakeholders as required eg therapists. In 2016 we will start to use the National Curriculum and AusVELS as our curriculum to inform teaching and learning. This implementation will guide us in developing a new ILP and reporting cycle. Early in Term 1, teachers will meet with families to develop a new ILP and this will be implemented and reported upon at the end of Term 2. Early in Term 3 families will again meet with teachers to review the ILP and develop any new goals. This ILP will be reported on at the end of Term 4 with recommendations for the commencement of the following year. For more information about the ILP and reporting please contact the Deputy Principal. This information will be updated during 2016 as new processes come on board. ILPs are reported upon in written format at the end of Semester one and Semester two each year. In addition, students in Kindergarten, Years 2, 4 and 6 receive a digital portfolio at the end of the year. An Appraisal Meeting is held for students in Kindergarten and Years 3 and 6. Meetings involve families (including the student, if you wish); the class teacher, the Principal (or delegate) and can also include therapists and other people who you would like to collaborate in the planned learning for your child. A moderator from the Disability Education Section of the Directorate supports families and the school in the Appraisal meeting.